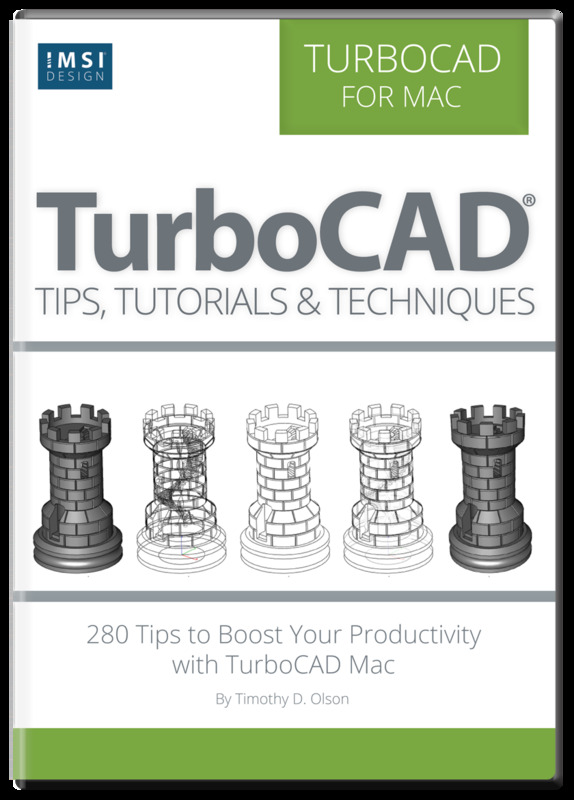 With over 280 fully illustrated tips, TurboCAD Mac Tips, Tutorials, and Techniques is the go to eBook for quickly answering the most frequently asked questions about TurboCAD Mac. Whether you are new to computer-aided design, or an experienced CAD user, this valuable training provides insights into the program so you can do more in less time. 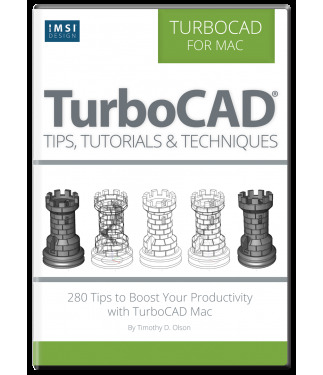 TurboCAD Mac Tips, Tutorials, and Techniques is an eBook that puts you on the fast track to learning TurboCAD Mac, and provides valuable insights for experiences TurboCAD Mac users. Filled with helpful tips from the program’s creator, you'll learn how to use the software in the best possible way, increasing your productivity. Discover insights for everything from beginning to advanced applications. User Interface: Learn how to use the start-up screen, the Gripper, work planes, snaps, tool palettes, preferences, layers and concept explorer. 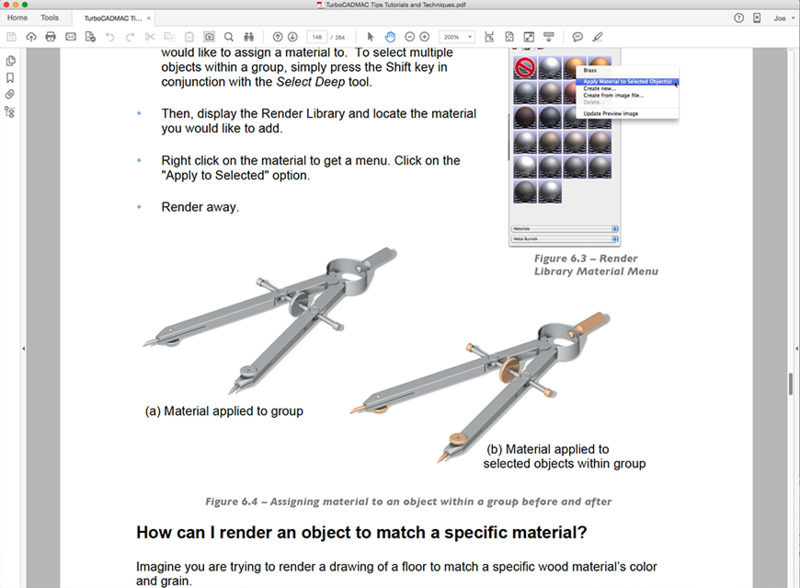 Also, manage performance, select objects and modify objects. PLUS - Top 10 tips for new users. 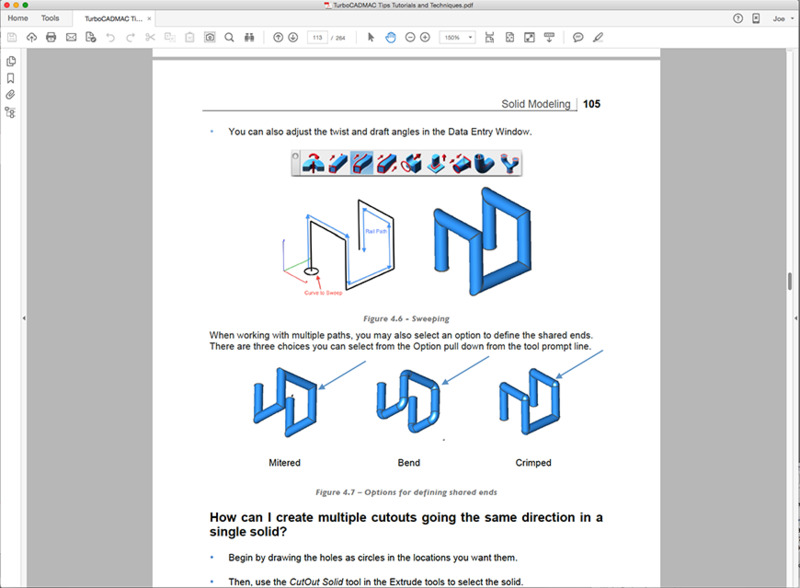 Drafting: Master a collection of essential tools used to create and manipulate 2D objects, including curves, text and annotations. Add symbols, apply BOMs and draw views. 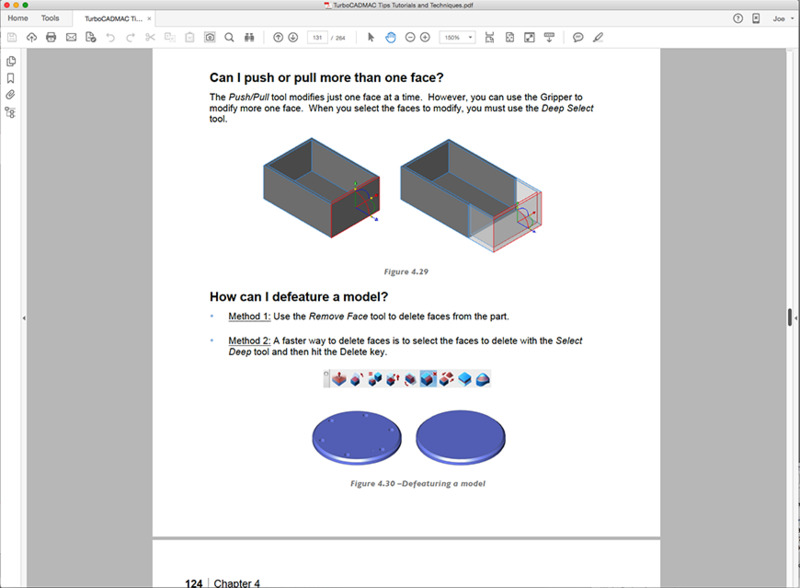 Surface Modeling: Use surface construction utility tools for skinning and lofting, covering, nets, and sweeps. Apply surface utility tools to cut, intersect, project, trim or rebuild surfaces. 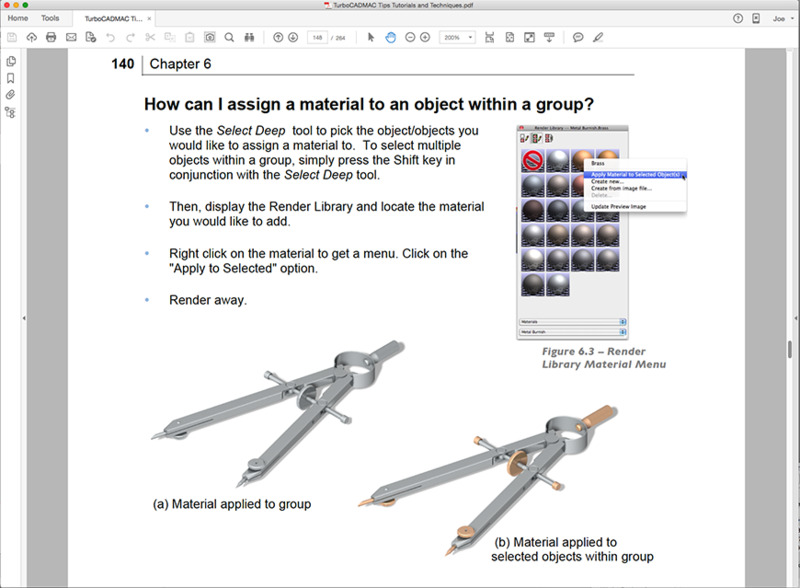 Solid Modeling: Build objects that are closed bodies with well-defined mass properties. Make primitives for truncated cones and elliptical cylinders, and access primitive control points. Control gaps, overlaps and more. 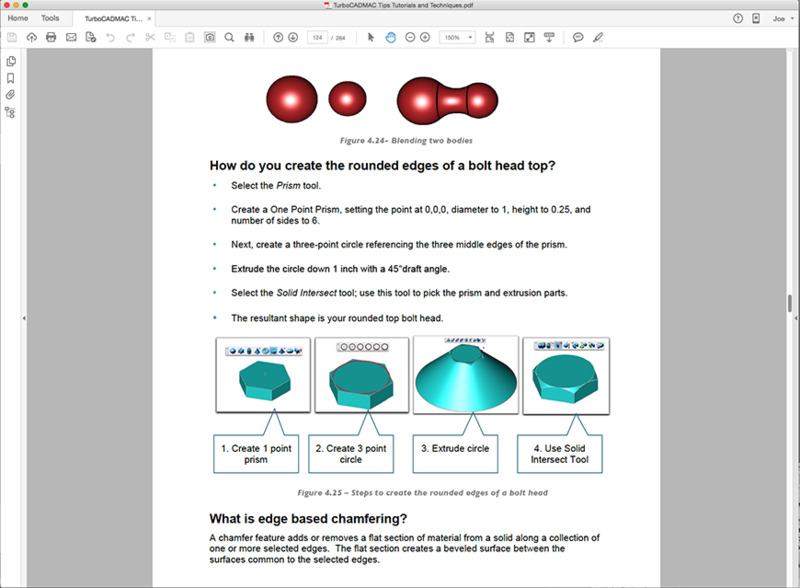 Rendering and Displaying: Create and manipulate CAD shapes for curves and surfaces. Define resolution angles and defaults. Explore options for viewing data. Photo Realistic Rendering: Generate an image from a scene that contains CAD shapes combined with texture, lighting and shading information. Use photo-rendering to produce impressive visual realism. Adjust angles to applied materials. 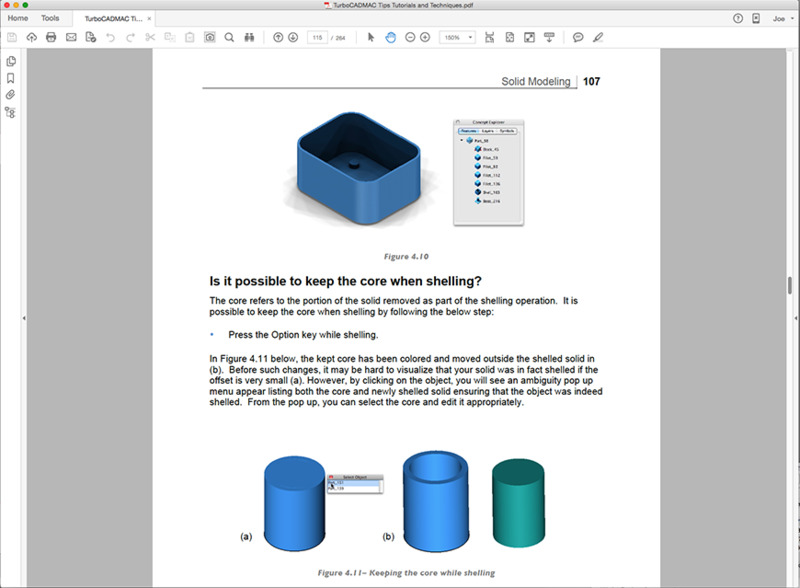 Data Sharing: Share your designs with other applications in a variety of data formats, including surface and solid model, and facet based. Explore exporting options, extensions and other data sharing methods. 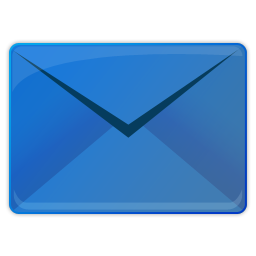 Windows: Windows® XP, Windows Vista®, Windows® 7, Windows® 8, 30MB Free Hard Drive Space, Internet connection required¹, PDF reader software required², keyboard, and mouse. 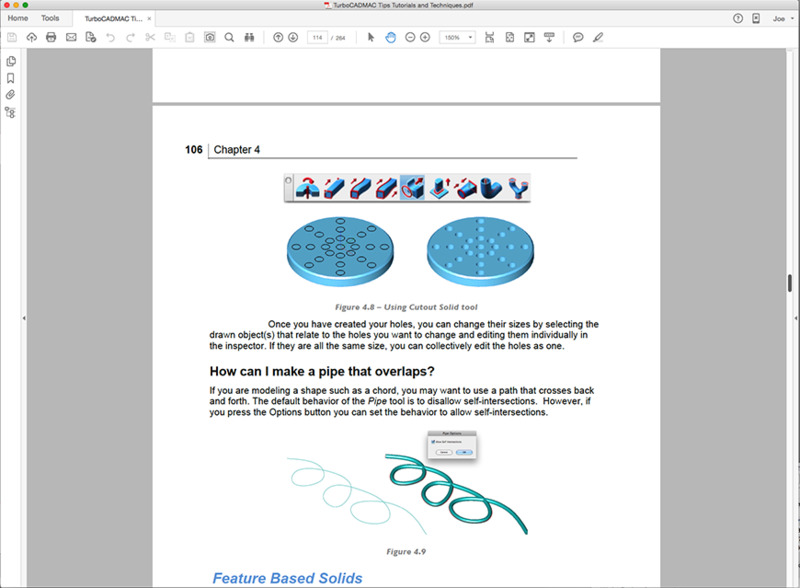 Macintosh: Macintosh® OS X 10.7 or higher, 30MB Free Hard Drive Space, Internet connection required¹, PDF reader software required², keyboard, and mouse. Mobile: Apple® iOS Phone and Tablet Devices, Android™ Phone and Tablet Devices, and Windows® Phone and Tablet Devices with 30MB of available storage space and PDF reader support. ¹User is responsible for all Internet access fees and phone charges. 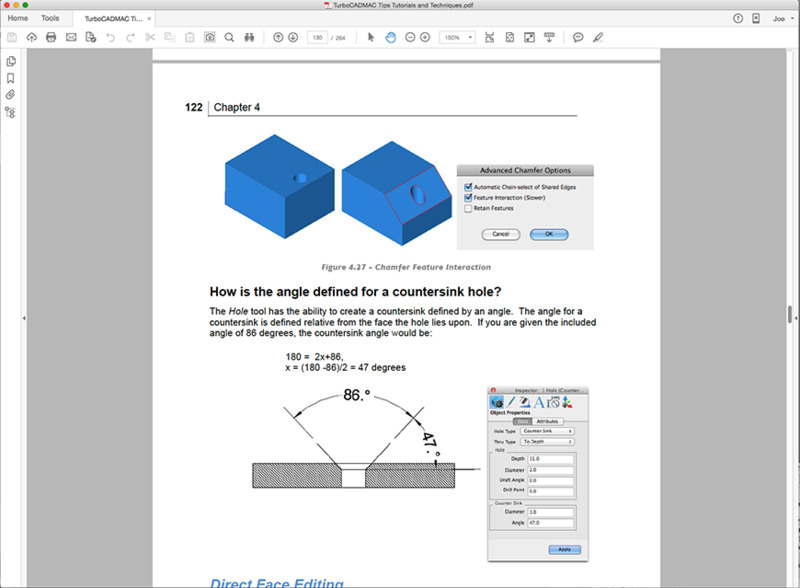 ²Supports most common PDF reader software.